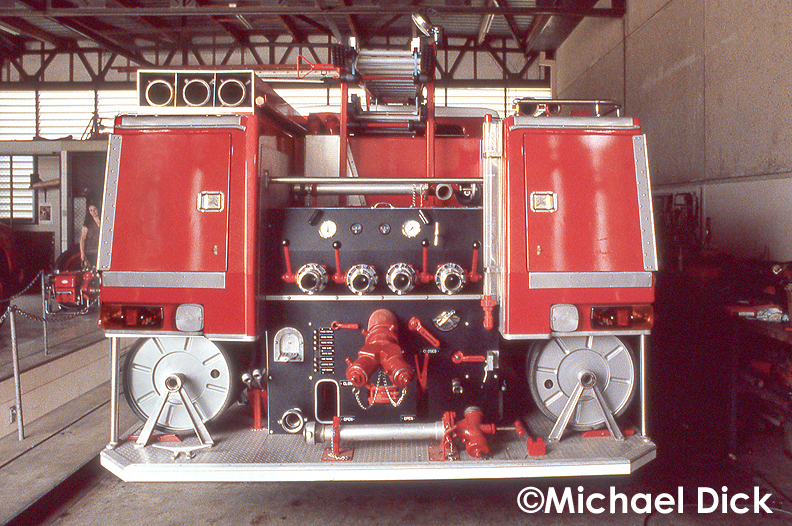 √While visiting far north Queensland in Australia in 1981 I had the opportunity to visit some of the local fire stations. This photo was taken in Townsville. My wife apologizes for looking so bored!